Telaga Waja River is the longest river which is situated in eastern Bali. Telaga Waja River with its specific current, natural views, clean water, and soft rapid. 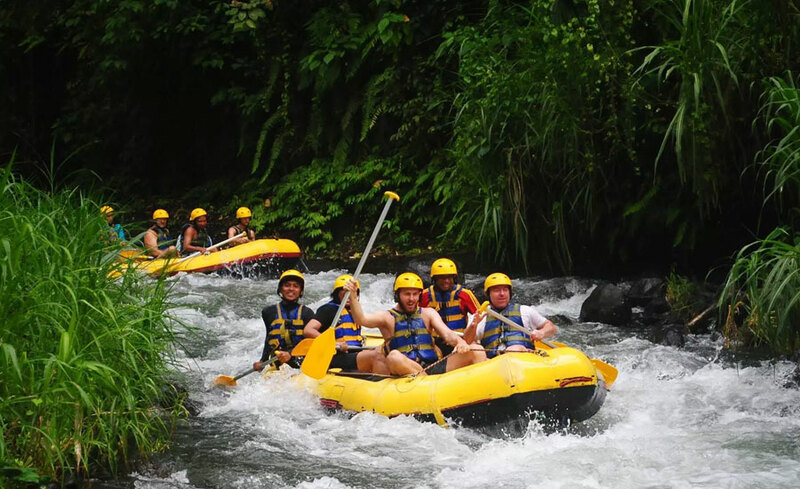 Telaga Waja River Rafting with Alam Amazing Adventures (known as Alam Rafting Bali) has becoming more popular among the adventure seekers on Bali to make an experience the thrill of holidays. Although the most famous white water rafting place in Bali is Ayung River, Telaga Waja River remains the best rafting ever in Bali. 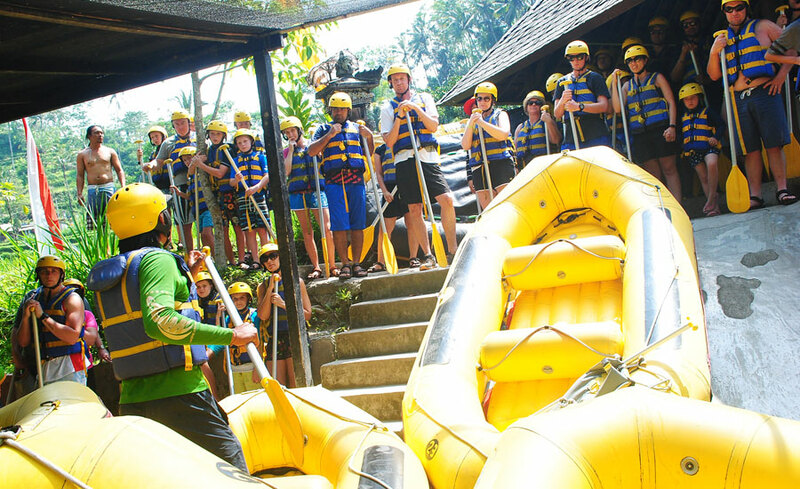 Telaga Waja River has a difficulty level 3 – 4 rapid class, but still safe for the beginners. The rapids of telaga waja river are very challenging and will pump your adrenaline. The river is located in Muncan village, Karangasem regency. This area can be reached within approximately 1,5 hours from Kuta, Seminyak and other areas in the southern Bali. Most of Telaga Waja Rafting Bali Tour company will offer you the 14-kilometer distance of rafting trip and could be reached about 2 hours. 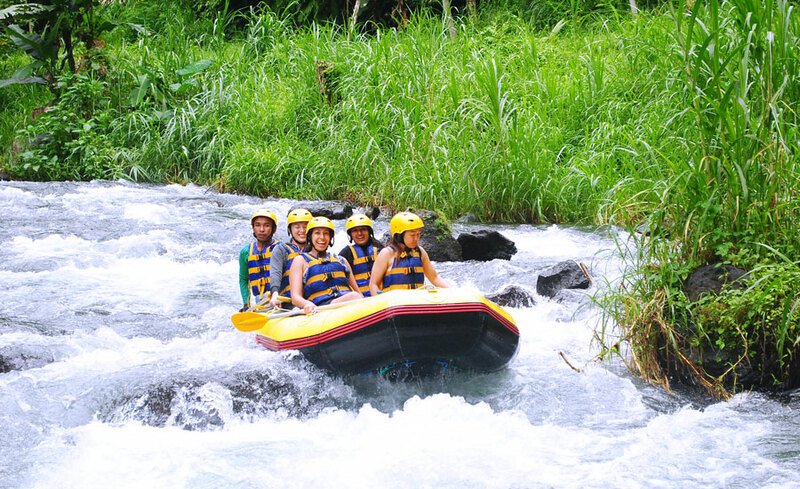 Telaga waja river Bali can be considered as the best river for Bali white water rafting. You could enjoy the beautiful scenery along the river with the rapids very challenging even at the last action, we would encounter the dam as high as 4 meters. 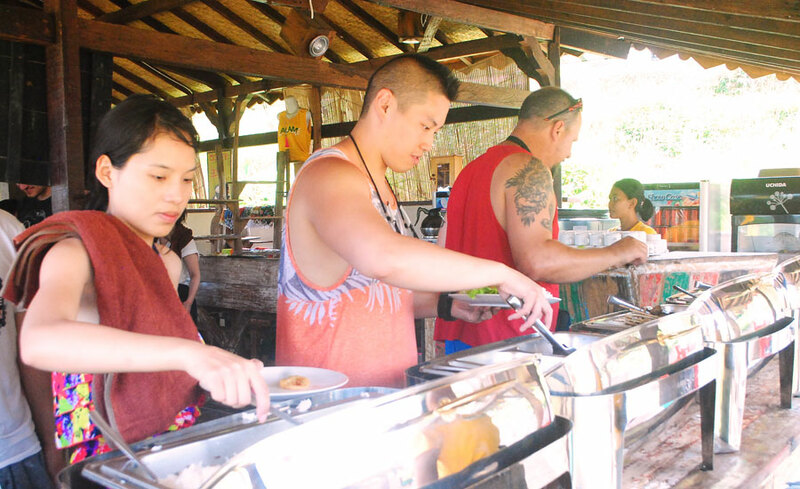 Telaga waja rafting remains safe for the beginner as long as participants comply with all instructions of the guide. 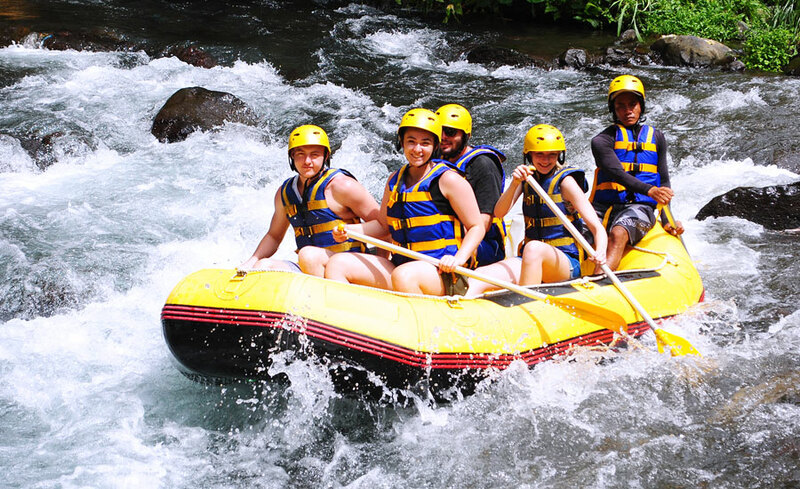 If you want to get the best of Bali white water rafting tour that can push your adrenaline, Telaga Waja River is the only one of your choice with the best provider is Alam Rafting. So if you want a holiday that has particularly impressive in Bali don't forget to try Bali white water rafting tour at telaga waja river. The driver from Alam Rafting Bali will pick you up from the hotel/villa at 7:30 am. We will take about 1,5 hours drive to the starting point of Alam Rafting Bali. Upon arrival at the start point of Alam, you will get a welcome coffee/tea with balinese cake, then you will be fill full the form of insurance coverage. The Balinese professional guides will give you a brief lesson about safety on the river and you will get all the international standard rafting equipment wearing all the rafting equipment such as: Life Jacket, Paddle, Helmet, and Waterproof Bag (to keep your personal belongings in the raft). 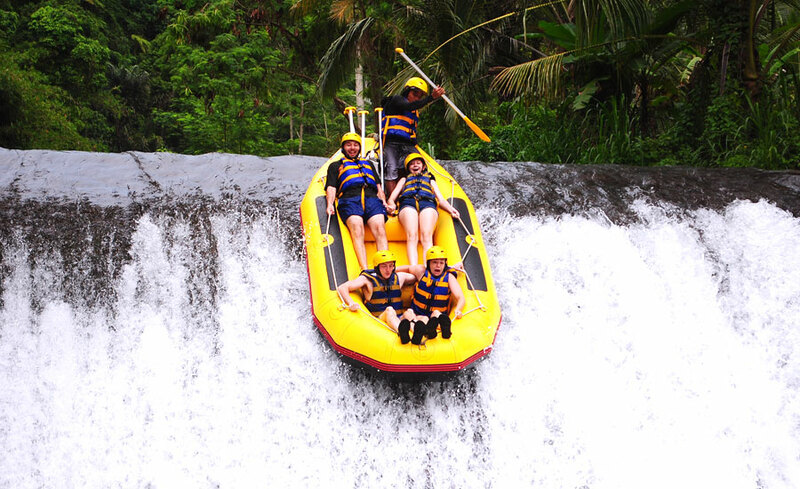 You will get water splash from the waterfall in a particular area of Telaga waja rafting and also in the middle of the Alam Rafting Bali you would get time to have a break. At the end of the Bali rafting tour with Alam Rafting you will be a little walk to the Alam Restaurant which overlooks the rice paddies and natural view. Beside the restaurant, there are showers facility, towels, toilets, and changing rooms. Lunch is a buffet lunch included in the package. After lunch we will take you back to the hotel/villa arrived around 03:30 pm.